The Qualcomm Snapdragon 835 system on a chip is likely going to be at the heart of your next super dazzling flagship Android phone. Initially revealed at CES 2017, Qualcomm has now shown us more of what the new SoC we expect to see in high-end devices throughout 2017 and into 2018 can do. 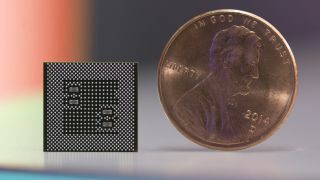 Qualcomm's Snapdragon 835 chipset is the first ever 10nm chipset, and despite its diminutive size, it's poised to power large-scale entertainment experiences. It's about to take everyone's ambitious dreams for virtual reality to the next level with proper capabilities for VR and AR head-mounted displays. You're also going to find the Snapdragon 835 chipset in security cameras, mobile PCs and even Windows 10 devices, in addition to Android handsets. So here’s everything we’ve learnt about the Snapdragon 835 so far, and what we expect to see for the future of the Qualcomm chipset. So what can the Snapdragon 835 do that last year’s chipset couldn’t? The headline improvements are minimal, but there are a few big steps you should know about that should mean your next phone is faster and more efficient than ever. Here are some of the more in-depth specs you may want to know about the Snapdragon 835. Compared to the Snapdragon 821, the Snapdragon 835 will offer around 25% better battery life, as it needs less power for certain tasks. We got to see the new chipset in action, and compared to the Snapdragon 821 there were some impressive improvements. When testing VR, the Snapdragon 821 device had to consistently use over 1000mAh of power, but the newer chip was only taking 687mAh. With it using less of the battery power, this should mean the phone can last longer in everyday life. We saw a similar result for when recording in 4K, with the older chip using 1299mAh of battery and the newer device only taking up 970mAh. Whether this extended battery life will be fully passed onto you in your next device is unclear. You may not necessarily get an extra few hours of life, but it should mean your upcoming phone will get at least a slight extension compared to devices using older Qualcomm chips. Performance is the major upgrade for the Snapdragon 835 chipset, and we can tell you first hand we’ve seen big improvements. We did some benchmarking for the chipset on a developer's device and it’s far better than the last Snapdragon chip. In GeekBench 3 we got an average multi-core score of 6494 in our tests. The most powerful phone in the world right now is the Samsung Galaxy S7 Edge with an Exynos chipset inside, but that scored only slightly more than this with a score of 6542. The Snapdragon variant of that phone was much lower at 5398. This means you should see some improved performance on Snapdragon 835 devices. It’s worth noting though that we got these scores out of a device designed to just do benchmarking. This isn’t an actual device you’ll ever be able to buy, so there’s a chance you won’t see this level of performance from final products available on the shelves. What we do know is that performance from devices packing the Snapdragon 835 should be better than most flagship phones from last year. Improved battery life is a major highlight of the new chip, but faster charging is also a big-name feature you should know about. The Snapdragon 835 uses Qualcomm's new Quick Charge 4.0 tech, which should be able to charge your phone 20% faster than Quick Charge 3.0. Last year's Quick Charge tech was already great at pumping battery into your phone at great speeds, so this year it's sure to be an even bigger deal. Whether the phone you buy with a Snapdragon 835 inside allows you to charge it up half way in only a quarter of an hour is yet to be seen though. Qualcomm is including electronic image stabilization (EIS) technology within the Snapdragon 835. It offers improved stabilization and the idea is you’ll be able to film while walking without noticing a big difference in the stability of your footage. This is something many phone manufacturers have been offering already, but this should make it a much more prevalent feature, as companies will be able to adapt this tech directly from the chip without too much effort. If a company decides to implement the new EIS tech on a phone, it'll mean it's much easier to film while walking and give you a stable picture. Qualcomm also confirmed it would be possible to include Optical Image Stabilization on a phone at the same time, but it may not be something any manufacturer wants to actively pursue. Plus, the upgraded Qualcomm Spectra image signal processor allows phone manufacturers to include cameras of up to 32 megapixels, which will offer zero shutter lag as well as what Qualcomm calls 'true-to-life' colors and the opportunity for fast autofocus. Which phones will have Snapdragon 835? The incredibly popular Snapdragon 820 was used in over 200 Android phones around the world, so there's a good chance whatever handset you have your eye on this year will sport the chip. We already know the Sony Xperia XZ Premium will have the new chipset inside when it's finally released to the market. Whether it will be the first phone you can buy with the Snapdragon 835 inside currently seems unlikely, as Sony aims to release the phone in 'late spring'. Current rumors suggest the Samsung Galaxy S8 and Galaxy S8 Plus will feature the Snapdragon 835, but only in some markets, such as the US. Other markets - such as the UK - are rumored to get the Exynos 8895 chipset instead, but in previous Samsung phones the Exynos version has usually proved faster than the Snapdragon option. Samsung may also decide to use this chipset in the Galaxy Note 8, but we don’t expect to see that device come to the market until near the end of the year. The LG G6 and Huawei P10 – two of the most recent flagship phones released in 2017 – will not feature the Snapdragon 835 and instead opt for the older Snapdragon 821 and the new Huawei-made HiSilcion Kirin 960 respectively. It’s heavily rumored HTC is planning to include the new chip in the follow-up to the HTC 10, but it’s uncertain when the HTC 11 will be launching. Google will likely include the Snapdragon 835 in both the Google Pixel 2 and Pixel 2 XL as well. Other phones we expect to see using the Snapdragon 835 include the OnePlus 4, Moto Z2, LG V30, and many more handsets throughout 2017 and into 2018.